I've known Mark for years, and he frequently stops by this blog and offers his insights. His new thriller, THE FALLEN, just came out. I encourage you all to buy it. His Derek Stillwater novels remind me a lot of Lee Child crossed with Tom Clancy. Everyone here pretty much reads Joe’s successes with e-books with their mouths dropped open in astonishment. I mean that. He’s so far ahead of the curve on this that he’s out of sight. Which also means he’s not typical. Yeah, man, I’m rocking. Let’s not spend that $10.92 all in one place. But first, let’s discuss the possible reasons why my sales here are a bit sluggish (to say the least), particularly in comparison to Joe’s. 1. Joe’s better known than I am. Although my novels have been well-received critically, I’m typically published by independent presses with limited distribution. Sales have been modest. And in fact, although THE FALLEN, the third in the Derek Stillwater series, is officially released this week in hardcover, the two previous Derek Stillwater novels, THE DEVIL’S PITCHFORK and THE SERPENT’S KISS, are essentially out of print (except they will soon be available on Kindle, more about that later). 2. 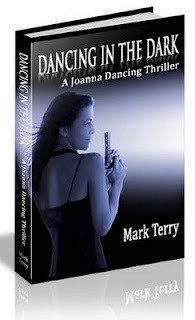 Although I think the cover of DANCING IN THE DARK is pretty good, my cover person laid it out in a 3-D fashion that I initially liked, but am now not so wild about, primarily because it’s different from everything else you see on Amazon. Needs to be changed. 3. I was in between books. As mentioned before, my first two Derek Stillwater novels are out of print. There was a lag of several years before I found another publisher and in that period, although I was very busy making a good living as a freelance writer, I wasn’t spending much time promoting books that were out of print. Now that I’m promoting THE FALLEN, I’m hearing an overall interest in my e-books, simply because readers are once again being made aware of me. 4. Someone recently pointed out to me that my Amazon page was a mess and not all my books were linked. I took care of that, but the fact is, there’s a lot of housekeeping involved in making sure that if someone hears your name, it’s then very easy for them to find your books—all of them (and publishers do not always make this easy, being far more interested in selling their books, rather than the author’s backlist from other publishers). So what’s going on? Well, a couple things. As anyone who’s following the e-books and publishing, e-rights have becoming a big bouncing ball. Publishers want to hold onto all e-rights and give the author a very small percentage, anywhere from 10% to 25% for those rights. Authors, naturally, want to hold on to them or get significantly better percentages of e-rights. Publishers are dragging their heels, pushing for 25% or less, but agents are pushing for 50% to be standard. Meanwhile, Amazon, currently the biggest purveyor of e-books via the Kindle, is offering a 70% royalty if you publish them yourself. A “standard” agreement on this hasn’t really been worked out yet in the way that a “standard” agreement has been more or less worked out for mass market paperback, trade paperback, and hardcover royalty rates. Here’s where my own experiences start getting rather across-the-board. First, in addition to the novels, I’m a freelance writer. I’m collaborating on a nonfiction book with a pair of doctors and due to a weird set of circumstances, I ended up negotiating the contract rather than our agent (very long story). One of the sticking points, for me anyway, was e-rights. I really felt that either the publisher needed to tell me what their plan was for an e-book version of the book and then negotiate a decent royalty (50%), or let us keep the e-rights. After much haggling we got a 25% royalty, but the rights will revert to us within 18 months of paper publication if the publisher doesn’t actually get around to doing an e-book version. (Book contracts are all about compromise. Was I happy about this? Well, it was a compromise. I could live with it). When my former publisher and I parted ways, they returned all print rights to us for THE DEVIL’S PITCHFORK and THE SERPENT’S KISS, as well as ALL rights to THE FALLEN and the 4th Derek Stillwater novel, THE VALLEY OF SHADOWS (scheduled for September 2011 now). However, for Pitchfork and Serpent, the publisher hung on to all the foreign rights because they were still marketing them, AND, digital rights. 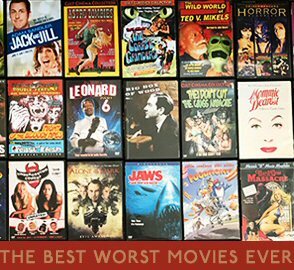 Recently we got most of the foreign rights back and went after the e-rights. But the publisher wouldn’t release them because they have plans to publish an e-book version and had, in fact, already submitted the manuscripts to Amazon and B&N and others (without telling us). They aren’t, as far as I can tell, available yet, but should be soon. My publisher for THE FALLEN did not have a negotiated right to the e-books … but apparently planned on publishing a Kindle version simultaneously with the hardcover version. Something I found out only recently. Again, you can hear the ball bouncing, so my agent and I are in discussions about exactly what our royalty rate is going to be for this. Will I be self-publishing more books? Oh, most definitely. The more I have around, the more synergy I’ll create, the more sales I’ll get. Besides, more and more people are buying e-readers—my iPad arrived Saturday!—so the market’s only going to grow. I plan to put forth a Kindle version of DIRTY DEEDS just as soon as I figure out where the original files are, see if I can find a floppy disk drive to attach to my computer, get cover art … oh, and find the original contract and see who actually has the e-rights. And I wrote a follow-up that never got picked up, and there are some other projects that I still like that won’t embarrass me to see them in print and available to readers. The entire e-book world is exploding (while traditional publishing seems to be slowly imploding). No one really knows where it’s going to land in five or ten years, and so far most prognosticators have been totally full of crap. If everything goes to e-books and paper books become dinosaurs, I’m concerned about the millions of books currently sold at non-bookstore venues that are bought by millions of people who buy a book or two a year to take on vacation or for their business plane trip. Are they going to buy an e-reader when they don’t regularly read? Will they buy multi-media devices like the iPad, and if they do, will they buy books or just surf the web or watch a movie instead? Will they start selling e-reader individual books, a cheap, almost disposable one-shot, like you occasionally see (or saw, I haven’t seen one lately) for audiobooks? I don’t know. But writers should probably pay attention and get involved in it. Here's a case of a professional writer with a good book, good cover, good product description, and terrible sales. 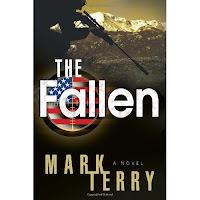 He's got a good website, www.markterrybooks.com, and has several previous books in print. He's selling DANCING IN THE DARK for a very reasonable $1.49. So what do I think is going on? I have a few theories. 1. Mark hasn't mentioned that he's done any sort of marketing for this book. At the very least, he should visit www.kindleboards.com and post about his book, join the community, and maybe politely ask Red Adept to read a copy to review. There are other Kindle forums, including on on Yahoo, that could also use an announcement. 3. Mark could consider cross-promoting with some of his author friends who have Kindle titles, trading chapter excerpts for inclusion in the back matter. 4. DANCING is buried on his website, and isn't listed in the sidebar on his blog. Compare that to my website and blog. 5. Does Mark have an Amazon plog? Is he using his social networks to the fullest (Twitter, Facebook, Crimespace, Goodreads, etc.)? 6. Weird as it sounds, $1.49 seems to be an awkward price. I don't see any other books priced like that. I'd either raise it to $1.99 or drop it to 99 cents. 7. The problem with the 3D book cover is its size. When it is viewed as a thumbnail, its too small to make out any real details. 8. I hope he went the Smashwords route and got this up on the iBooks for the iPad launch, and that it's also available on the Nook and Sony Reader. Mark also seems to know that this is the very beginning of the ebook revolution, and there's a very long tail here. Okay, so the first six months were terrible. But the more he gets his name out there, the more he and others link to his books, the more Kindle books he posts, the easier he'll be to find.